Our mission is to support art organizations and creative institutions with the goal of helping improve the quality of life of artists, and creative communities, nationwide. The Wilhelm Family Foundation is a continuation of the philanthropic spirit of our founder, Donald C. Wilhelm, who believed that art has the power to transform humanity through individual self-expression. The Foundation supports creative non-profit organizations that use art as a means to collaborate and engage with the diverse cultures, communities, and cities in which they operate. Our goal is to help secure the presence and longevity of creative spaces, particularly in cities where gentrification has forced the eviction and displacement of artists, art spaces, and the culturally diverse communities in which they thrive. Through our support of creative organizations, we hope to help expand artists’ access to resources, inspire public discourse, engagement and collaboration around art, and solidify a place for creative expression and experimentation inside society’s fray. Since 2014, the Foundation’s inaugural year, we have supported over thirty different organizations in various capacities, nationwide. Our grant recipients are not restricted by geography, though the majority operate in California, where the Foundation operates. All of our recipients have tax-exempt 501(c)(3) status as nonprofit organizations as defined by the Internal Revenue Service. Cascade has served as the Executive Director of the Wilhelm Family Foundation since it was established in 2013. As the best friend and granddaughter of founder, Don Wilhelm, the two worked collaboratively for years planning and developing the Foundation’s vision and scope. Cascade also works as an interdisciplinary artist and freelance creative professional, and is proud to bring her experience as an artist into the world of philanthropy. Matthew has been an estate planning attorney for over 30 years with offices throughout the San Francisco Bay Area. Though his legal career began in litigation, his charitable work with senior organizations soon inspired him to transform his practice, helping individuals, spouses, partners and families to manage the complex and personal issues involved in estate planning. Matt also helps special needs, disabled, and elderly clients with public-benefits planning. He is a former member of the Board of Directors for California Advocates for Nursing Home Reform and is in his fifteenth years as a core instructor for CANHR’s state-wide attorney elder law conferences. With the help of his firm, O’DONNELL & ASSOCIATES, Matt has helped more than 4,000 families plan their estates. Leland has worked as a self-employed attorney at the Evans & Heil law offices in Monterey, CA since 1980. In 1983 he met Don Wilhelm, founder of the Wilhelm Family Foundation, and they began collaborating on a variety of projects, including business and real estate. Leland is proud to carry on Don’s philanthropic spirit through his work with the Wilhelm Family Foundation. Donald Wilhelm founded the Wilhelm Family Foundation shortly before his death in 2013. A lifelong lover of art and literature, Donald’s pursuit of self-knowledge and his belief in creative expression are at the core of the Foundation’s philosophy and operations. 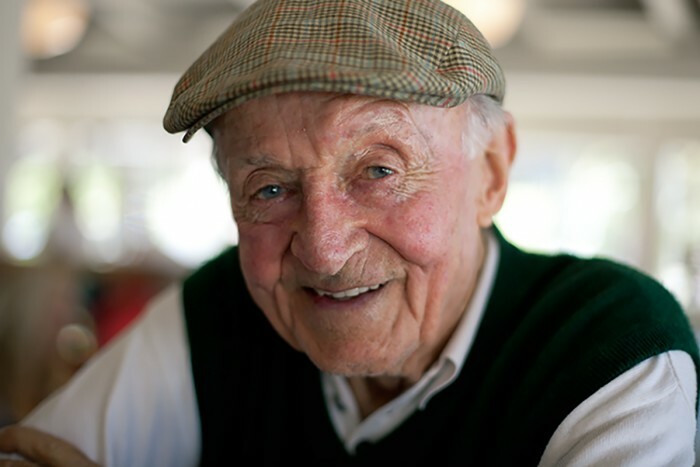 Don was born in the Sunset District of San Francisco in 1918 to German immigrants. He served in the US Navy for four years during World War II, and went on to receive his B.S. from Harvard University and later, an M.B.A. from Stanford University. Eventually returning to San Francisco, Don began working in the automobile industry, moonlighting as a car salesman before opening his own dealership, Continental Car Company, on Van Ness Avenue’s “auto-row” in 1954. It was during the boom of the American automobile industry, and in spite of the pervasive anti-German sentiment of the times, that Don found success as one of the first dealers in California to import foreign cars such as BMW, Porsche, Jaguar and Volvo. In the decades to follow, Don’s business and his passion for culture, found him traveling to countries the world over, frequently accompanied by his wife of 40 years, artist Betsy Roeth. Driven by a deep desire to give back, Don’s endeavors were progressive, diverse and far-reaching. In the late-60’s, with the help of his close friend, Michael Kaye, Don co-founded an alternative education high school in Woodside, CA, called Pacific High School. Some years later, the two partnered on another enterprise, Costa Rica Expeditions, one of the first eco-tourism outfits in Costa Rica.